Mankind has used leather and employed the practice of leather tanning for thousands of years. History has given us proof that the Egyptians made leather dating back to 5000 BC, Sumerians were using leather in 2500 BC, and by 500 BC, tanning was an established trade in Greece. Over the years, better tools have been made, new tannins have been discovered, and different materials have been used to create a product and industry that is constantly evolving. Leather-making practices spread to many different cultures around the world where they experimented in ways to preserve animal skin. Animal fats were originally used to preserve the tissue; smoking hides led to the use of formaldehyde; tannins were discovered and used in vegetable tanning; mineral tanning began with the use of alum; Chrome tanning was developed during the industrial revolution using chromium sulfates. Many cultures have used leather to create parchment for writing, waterskins and bags, harnesses and saddles, quivers, armor, and scabbards. Leather has been used to create clothing of all kinds over the centuries, including shirts, pants, coats, shoes, sandals, and boots. 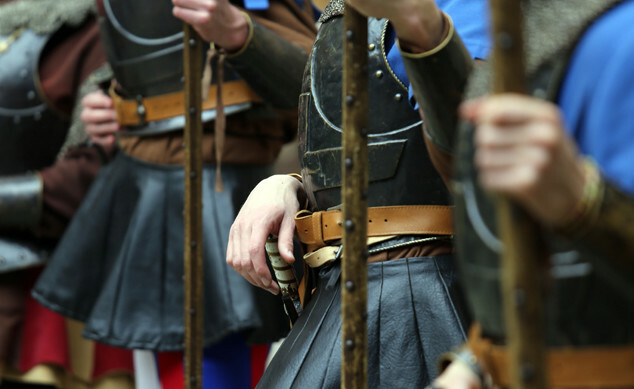 The Romans made great strides in developing efficient tanning methods and adapted the use of leather for use in the military as well as clothing. In the Middle Ages, leather was used in dining halls because it was cleaner and easier to maintain. The indigenous people of North America used leather to create mobile living structures like tipis and wigwams. Due to its durability, leather was eventually used in the creation of furniture like chairs and couches. 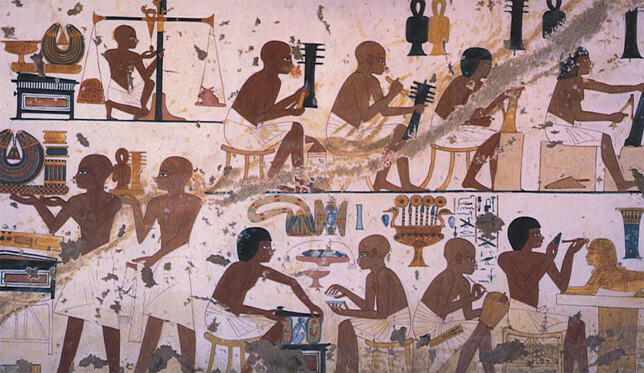 The art of tanning is a long and complicated process that tanners have been using for thousands of years. Transforming animal skin into leather can take a few weeks or several months. Before the skin can be tanned, it must first be cured in order to prevent deterioration. Then it goes through a process where the hide’s pH levels are altered with alkali solutions and the skin is softened using enzymes to prepare it for tanning. The two most common methods of tanning are chromium tanning and vegetable tanning. Chrome tanning uses chromium sulfates to create a very flexible material that can be used to makehandbags and clothes. Vegetable uses tannin, a naturally occurring chemical in the bark and leaves of plants, which makes the hide flexible and water resistant. Tannins create leather that is used for furniture, luggage, and footwear. After the tanning process is complete, the finished leather can be dyed using aniline or semi-aniline dye. When aniline dyes are absorbed, the skin’s natural features are brought out to create a very authentic and natural look. Aniline dyes lack pigment, allowing the natural look of the hide to show through, while semi-aniline has a small amount of pigment added to get a more consistent coloring. Finally, the surface of the leather can be finished to create the desired textural effects. Buffing and brushing techniques are used to even out the grain in the hide, while the milling process can be used to render the leather softer to the touch. This is where leather is determined to be full-grain, top-grain, corrected-grain, or split, depending on the work that is done to the hide. Pure Aniline is produced from the finest selection of rawhides and has one of the softest feels of any leather. Hides are dyed in large wooden drums and are bathed until the desired color is achieved. The natural surface structure of these hides remain unaltered and are easily recognizable. 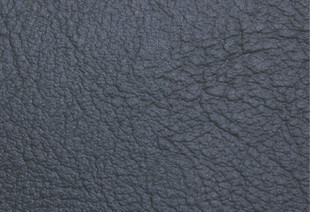 Pure aniline leather presents some disadvantages when compared to other finished leathers. It has very little resistance to light, it has excessive elasticity, and it is susceptible to stains and marks. Some pure aniline hides undergo a waterproofing treatment that does not protect the leather from exposure to light or help manage its elasticity. These treatments help to prevent stains, but the surface must still be cleaned immediately after any spill. 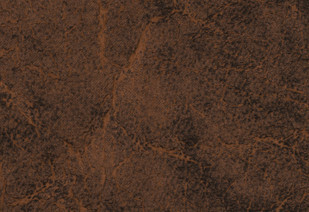 Corrected Grain leather is produced from a lower selection of hides that are aniline dyed and machine buffed to remove the defects and imperfections from the surface layer. After being heavily coated with pigments, a replacement grain is embossed to recreate a natural appearance. This product is highly resistant to light exposure, stains, and general wear. It is easy to clean stains, but spills should still be cleaned as soon as they occur. Semi-Aniline is produced from the finest raw hides. The leather is dyed in drums and then lightly covered with organic pigment to make the dye more uniform. This treatment also increases the material’s resistance to light exposure, stains, and general wear. A major challenge in the production of semi-aniline leathers is producing a highly resistant product that still maintains the suppleness and feel of pure aniline. 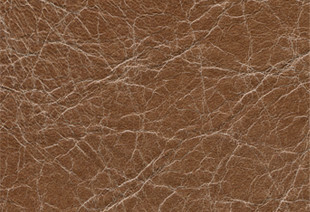 Suede Split is produced from the under layer of the hide that has been split from the top grain. The split side is aniline dyed and buffed to create a velvety texture. Suede splits are used to make upholstery, shoes, garments, and handbags. The eventful life of a herd can have an effect on the skin of an animal. 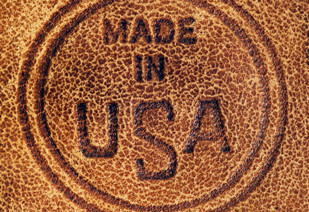 Brands, scratches, wounds, and abrasions alter the finished leather, but they shouldn’t be considered defects. Each mark left on the hide is proof that every piece of leather is it’s own natural and unique product. Leather is a stable material that will remain unchanged for many years, but it must be taken care of. Be sure to keep the material away from strong heat sources, shelter from direct sunlight, and protect from water.